In the earliest stage of the Universe, a sentient and powerful race found itself trapped within the confines of civil war. While countless factions were formed and thoroughly vanquished, other individuals sought to remain neutral and pursue their own objectives in the current dimension without taking sides. Sooner or later however, everyone had to face the same question, to either oppose or to submit. The story begins with Aurindor, a brave and joust warrior who wanders the immensity of the expanding universe seeking to help the oppressed and to bring justice to the perpetrators of condemnable acts. In a similar situation like so many others that happened before, Aurindor will end up meeting one of his kind willing to join him in the quest for justice. He had no idea however, that such an encounter would then trigger many other adventures later on. Enclave is the first title in the universe related to Chaotic Order. It briefly explains the events that had passed before its beginning as well as setting the first story in the series. This project was also designed with the intent for being published through digital means (which does not invalidate a physical release later on). Since self-publishing was the only decent way to get the project in the market, it was decided to include frames of the character’s before their dialogue lines, thus changing a little what the reader of this kind of literature is used to. Down below you can find some additional information about the book, its trailer and some reviews about it! Here’s a video that I made for some self-promotion. The trailer for it is just below this one! Here’s a trailer made by myself with the help of countless tutorials. “Rafael Soares – Enclave: Creation. Wildly ambitious, with a super-epic, mega-cosmic scope. There’s a mass of information presented in the first few chapters in a very explanatory style, and even the avant garde formatting (a brave decision) doesn’t help bring out the actual characters. The scale and stakes of the book are made apparent, but this is a world-first sort of book, and it is hard to grip onto the story. There’s a big thing here, and I’m not wholly convinced that, whatever it is, it is best expressed as a book. It may come to life better as a comic (with visuals given more work to do)? Or a game? 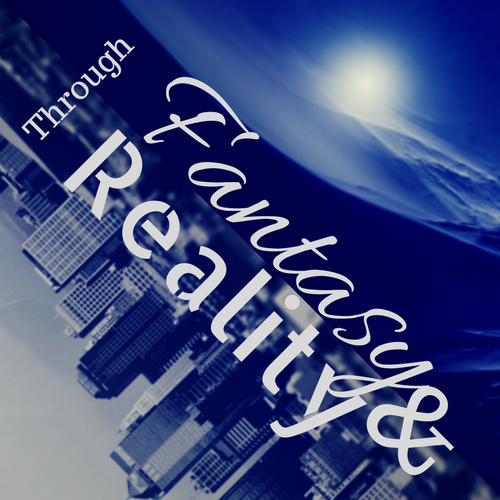 Or even an RPG setting?” – You can see my reaction to the brief review here. There’s also a Book Blitz that was hosted at http://tabbyafae.com/ and the content is currently in this blog as well so that the information isn’t lost. You can check it in this link. 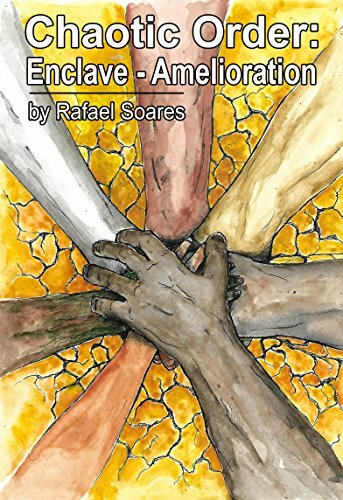 Lypri Nmerga have turned against their own race for the greed of power leaving Legendary figures to battle over the fate of the universe in author Rafael Soares Enclave: Creation (Chaotic Order Book 1). Offering some interesting fragments about apocalyptic tale of survival and justice author Rafael’s novel is destined to engage and capture the imagination of his readers through immersive, fleshed out plot as the bold warrior humanoid- Aurindor decides to take control over the situation of the dystopian universe and opts to help the oppressed and punish the assaulters of peace with the help of a companion whose camaraderie is sure to trigger many intriguing adventures. Detailed flashback placed at the beginning of the novel manages to evoke emotional attachment for the heroic character of Aurindor painting pictures of stark task embodied powerfully in the setting of the sci-fi as the novel unfolds. With a new twist around every corner, author delivers a complex tale of greed, obsession and survival that will keep the readers turning page after page. Enclave – Creation will soon be remastered with a format that will turn reading it much easier. Whoever bought it previously, will have access to the remastered edition simply by contacting me through any social media or even by the comment section below with some proof of their purchase of the ebook. Enclave – Creation is now remastered with new visuals, increased letter size and in A5 page size instead of A4, making it much easier to read in mobile devices! 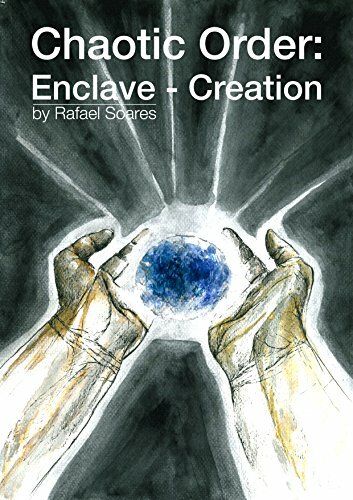 Now you can also find the physical edition of Enclave – Creation at the Amazon store, right next to the Kindle version! A review of the physical edition is coming soon!